review about the benefits of grass for healthBenefits of weeds as medicinal plants :: Reed kind of weed is a plant that is very easy to find in the area or paddy fields. Plants by scientific name is Imperata cylindrical indeed thrive in the area and its development can beat that was intentionally planted crop farmers. Behind existence as weeds, reeds apparently also has a good role in protecting the soil from erosion. Rapid growth and root development are interlocked between trees form a strong fabric of the rhizome that can hold the soil around it. The leaf weeds are also widely used for the roof of the house. Another part of the reeds that can be used are fine fibers of flower panicles can be used to fill bedding / pillows instead of kapok. Grass chronic, long buds scaly, slithering grow underground. Shoots shoots that grow out of the ground pointy sharp. Short trunk towering up above ground growth and flowering. Between 0.2 to 1.5 m high. Each leaf blade lanceolate form a line with the tip of a pointed leaf. The base narrows berbetuk gutters, leaves about 12-80 cm long, rough and jagged edges sharp, long-haired section base, the veins are generally broad and pale in the middle. Bouquet of flowers in a panicle, about 6-28 cm long, with a long-haired kid grains (white) as a tool to levitate fruit when ripe grain. Benefits of grass for health.From some of the research that has been done. Reeds contain a number of chemical elements that are beneficial to health. These elements are abundant in the roots. Chemical elements some of which are: mannitol, glucose, citric acid, malic acid, arundoin, coixol, fernerol, silindrin, anemonin, simiarenol, achine, saponins, alkali, polyphenols, and taninin. With the elements mentioned above, the weeds have antipyretic properties that are down the heat, which is shed urinary diuretic, hemostatic that can stop bleeding, can make a cool and relieve thirst. Bleeding due to blood heat, such as nosebleeds, coughing up blood, vomiting blood etc. Similarly, a brief review of the benefits of weeds as medicinal plants, smoga this article can add your knowledge about medicinal plants. 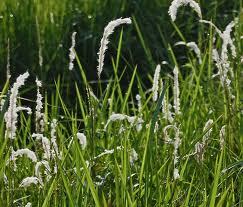 And especially knowing the benefits that are stored in the reeds which is more known as crop pests. In health we all know that it was not an easy daily task to take care of. Health was really important to all. I have read an article that said Herbal Incense was a helpful element to keep safe and can cure some illness. I never thought that reeds is best as a medicinal plant. I am currently drinking the ayahuasca tea and its very powerful in healing and bring back my strength. Thanks for sharing this.